As one of the main laundry room appliances, your top load dryer surely means a lot to you. Let our experts take care of it! The convenience of having the clothes dried and also sterilized by the dryer is unparalleled, but watch out! Dryers won’t be of any convenience and, in fact, will be safety hazards if lint produced from clothes blocks the vents. That’s why dryer service is important to take place on a regular basis. Our specialists can help you anytime you are available and will also help you see the dangers of these appliances and how they can be used with caution. If you have problems with your dryer now, don’t be reluctant to call our company. Call for Fix Appliance Repair Calabasas and all your dryer problems will be taken care of. With our fast response Dryer Repair in Calabasas, we manage to prevent worse problems related to your safety. Our technicians are experienced and properly trained dryer experts, who can help you with all your needs. If you notice that the cycle takes too long to come to an end or the appliance is overheated, give our team a call right away. 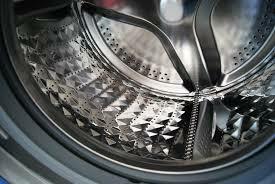 We offer same day service and know how to fix all dryers, including front load washer and dryer appliances. Do you think the appliance makes too much noise? Are the clothes coming out smelling bad? Our technicians can troubleshoot the dryer and have every issue fixed in just a short time. From dryer fuses to vents, heating coils and the appliance’s motor, all parts can be checked and repaired and most of them can be replaced. Trust that we have the required expertise for all services related to dryers and the ability to help you in timely fashion. If you are planning to buy a new dryer, talk to our experts in Calabasas. Let us tell you how to maintain the new dryer in excellent shape and trust our team for dryer installation. We receive questions from people all over California and we’ll be glad to answer your questions and serve your needs, too.